I work in the Fisheries and Biodiversity team where we’re often approached by angling clubs or landowners, who have noticed deterioration in their local stretch of river. As a hydromorphologist I am often called to these locations to identify the cause of the problem and, more importantly for the customers, find a solution. 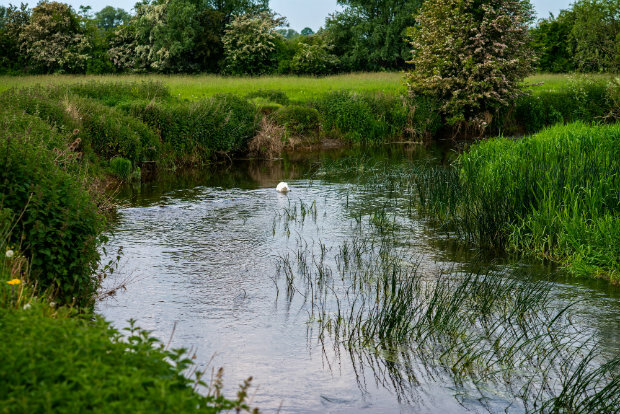 I am fortunate that we have a wide range of enthusiastic specialists within the Environment Agency who collect and analyse data on water quality and biology. This is always a good place to start. 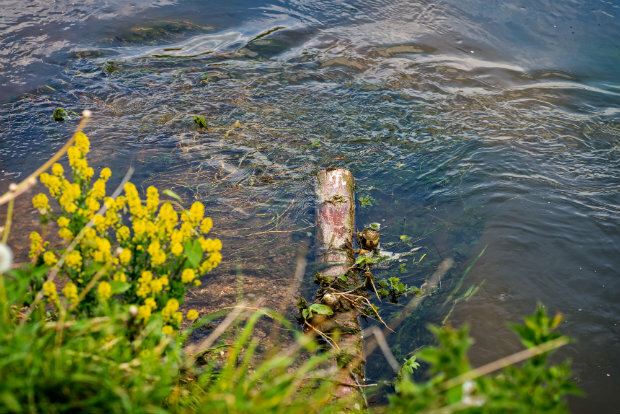 We also have a duty under the Water Framework Directive to achieve good status in our rivers and as such, already have a very good understanding of what we need to do, and where. This information gives a good indication of a river's current status and its historic trends. I then combine this information with river walkovers (I literally walk along the river) to get a fuller understanding of the physical processes operating in the river, such as patterns in flow and sediment. These processes form and sustain habitats and will often determine what solution will be appropriate or sustainable in a given location. There are many pressures in our river systems that are impacting on the ecology. These range from man-made modifications such as weirs and channels, which often reduce habitat abundance and diversity, to disturbance caused by invasive non-native species such as signal crayfish. To find a solution to a particular problem in a river, such as declining diversity in fish or macro invertebrates, we must first untangle the complicated jumble of natural and un-natural processes operating locally or over a whole catchment. By understanding these processes we can then get to the right solution. This is easier said than done, and is a science very much in its infancy. Solutions can range from low-cost and easy to put in place, to those that require cooperation from a range of interested parties throughout a river catchment. 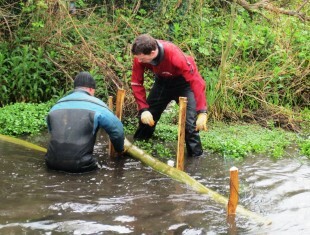 Where possible we try to find options that use natural materials and work with the natural processes in the river. Something as simple and low-cost as retaining trees that have fallen in the channel, putting large wood in to the river at strategic locations, or planting trees, can lead to significant ecological improvements, and can be undertaken by volunteers. This is particularly important in the area I work (East Anglia) where we have one of the lowest densities of tree cover in the UK. Being involved in enhancement works, as well as monitoring work, I've experienced fish returning to their natural habitat. This it gives me great satisfaction in the work being done, and is a clear sign that we're getting it right! We have a lot of work to do to return our rivers to their full potential following centuries of modification and deterioration. This is a goal that no single organisation or individual can achieve alone. Significant improvements can be made to enhance ecological diversity in our rivers. We can work with local groups and individuals to get the correct measures in place at the right location, and at the right time. A recent example of how the Fisheries and Biodiversity team have worked in this way is at Houghton Stream in Cambridgeshire.